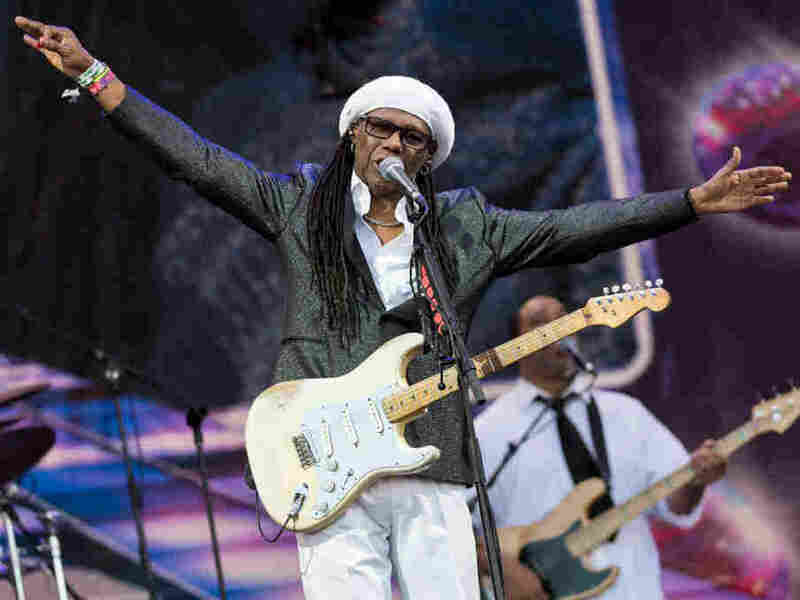 Nile Rodgers Named Chairman Of Songwriters' Hall Of Fame The co-founder of ChicC, who has also worked with artists from David Bowie to Madonna to Daft Punk, will serve a three-year term. Nile Rodgers, performing at the Glastonbury Festival in England in June 2017. In a statement, Rodgers said, "I will try and serve with all my heart. I hope I can make you half as proud of me as I am to even sit in the room with you who've done so much for the furtherance of composition." The Hall of Fame's president and CEO, Linda Moran, noted in the same statement that Rodger's broad experience made him an appealing candidate. "Nile is respected and admired by his fans and his peers alike for his multi/cross-genre music and for being a musical pioneer. More importantly, Nile's eloquence in talking about songwriting and its process makes him the ideal voice for the songwriting community as chairman of the SHOF." Rodgers was himself inducted to the Songwriters Hall of Fame in 2016, and to the Rock & Roll Hall of Fame in 2017. Chic will be releasing its first new album in 25 years, It's About Time, on September 14. In 2017, the organization inducted Jay-Z, the first rapper to be recognized by the Hall. "I'm pretty sure I'm still the only President to listen to Jay-Z's music in the Oval Office," former President Barack Obama said in a pre-taped address.